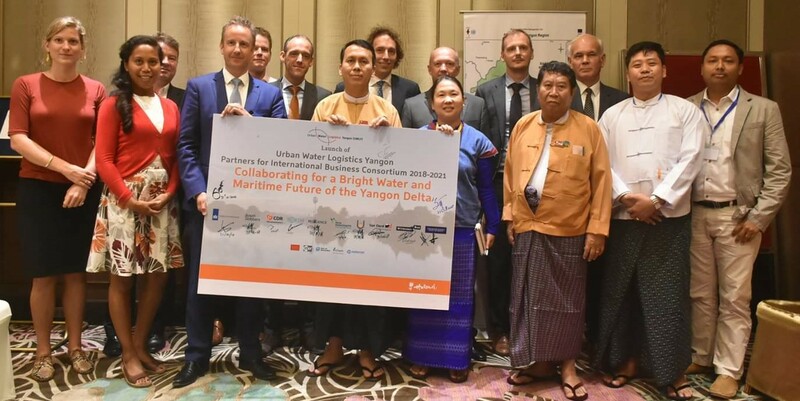 The Urban Water Logistics Yangon (UWLY), Partners for International Business (PIB) Consortium 2018-2021, has been launched in Myanmar “Collaborating for a Bright Water and Maritime Future of the Yangon Delta”. CDR International is part of the consortium. The UWLY covenant has been signed in Yangon, Myanmar, by the Chief Minister, the Ambassador of the Kingdom of the Netherlands, and all PIB members. Workshops will now take place in Yangon with major stakeholders and develop the timeframe and projects.